What do the Star Wars collecting clubs from Florida, Indiana, Kentucky, Ohio, Pennsylvania, New York, Texas, and Washington D.C. have in common? 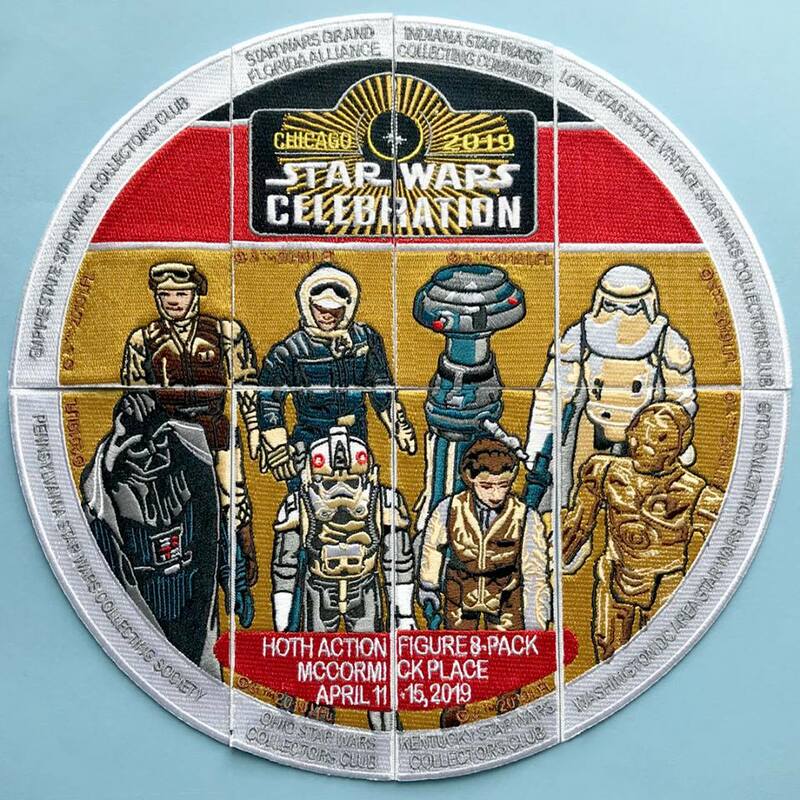 They have all teamed up this Celebration to create a fantastic eight-piece puzzle patch set to be given away exclusively at Celebration Chicago. Inspired by the vintage Return of the Jedi multi-pack sticker, it features 8 vintage action figures from the iconic Battle of Hoth. Stop by each club’s booth to see how you can obtain their piece of this Kenner-inspired patch set. The May 2019 meeting of the DCSWCC will be held on Sunday, May 5th at the Odenton Regional Library in Odenton, MD from 1:30 to 4:30. The April 2019 meeting of the DCSWCC will be held on Sunday, March 31st from 1:30 to 4:30 at the Chantilly Regional Library in Chantilly, VA.
Meeting theme: last-minute Celebration Chicago preparations! The March 2019 meeting of the DCSWCC will be held on Saturday, March 9th from 1:30 to 4:30 at the Burke Centre Library in Burke, VA.
Meeting theme: Celebration Chicago preparations! The February 2019 meeting of the DCSWCC will be held on Sunday, February 3rd at the Odenton Regional Library in Odenton, MD from 1:30 to 4:30. The January 2019 meeting of the DCSWCC will be held on Saturday, January 12th from 12:30 to 3:45 at the George Mason Regional Library in Annandale, VA. The November 2018 meeting of the DCSWCC will be held on Sunday, November 4th from 1:00 to 4:00 at the Centreville Regional Library in Centreville, VA.
2018 Charity Pin now on sale!! The Washington DC Metro Area Star Wars Collecting Club (DCSWCC) announces our eighth biannual charity lapel pin. The 2018 pin features Luke in his black Jedi garb holding a glimmering green lightsaber in the shape of the club’s signature Washington Monument. 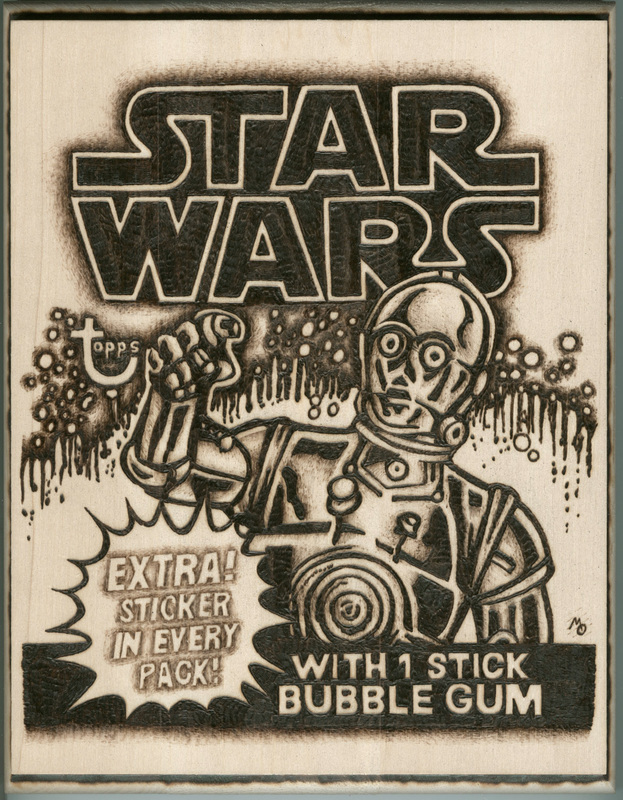 Eighth in the series of high-quality pins, and officially licensed by Lucasfilm Ltd., each pin is individually stamped and numbered – only 500 will ever be made! All proceeds benefit the Tragedy Assistance Program for Survivors. TAPS offers compassionate care to all those grieving the death of a loved one who served in the United States Armed Forces. Since 1994, TAPS has provided comfort and hope 24 hours a day, seven days a week through a national peer support network and connection to grief resources, all at no cost to surviving families and loved ones. This is a most fitting charity tribute for DCSWCC, because in February we lost a beloved friend, long-time club officer and treasurer, Luke Jedi focus collector, and retired U.S. Navy Lieutenant Bob Martinazzi. DCSWCC has a rich history of supporting children’s charities in the Washington DC region. 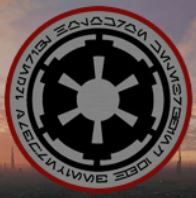 Our other charity pins featured Yoda, Chewbacca, the animated Boba Fett, Luke on his tauntaun, R2-D2, Commander Cody, and BB-8, and have raised over $34,000 for organizations including Children’s National Medical Center, The Children’s Inn at NIH, and Believe in Tomorrow Children’s Foundation. To order your pins, visit http://store.dcswcc.org today!